Professional audio grade potentiometers. – Potentiometer manufacturer. Fabricante de potenciómetros. From CD players, Musical Instruments, Stereo Systems & VCR´s through Computer peripherals to TV´s & Monitors you´ll find Piher. Versatile and designed to respond with excelent touch sensitivity, Piher audio potentiometers are a great choice for multipurpose Pro-Audio sound applications and Instrumentation. From musical instruments, stereo systems & VCR´s through computer peripherals to set-top-boxes you´ll find Piher. Many situations exist, even with digital sound, where a potentiometer is more effective than two buttons with some kind of “up-down” digital interface. Potentiometer and switch combinations (rotary and push-on/pull-off functionality) provide a compact solution with smooth rotary feeling. Long rotational life, customiseable tapers, low noise and built in switch are only some of the features that Piher offer to professional audio devices manufacturers multi-function full control with the use of a single dial. T16, PC16, T21 and custom products are used for professional audio potentiometer applications and guitar volume/tone control. FM/AM stereo tuner with RDS. Surround receiver with HDMI repeater. 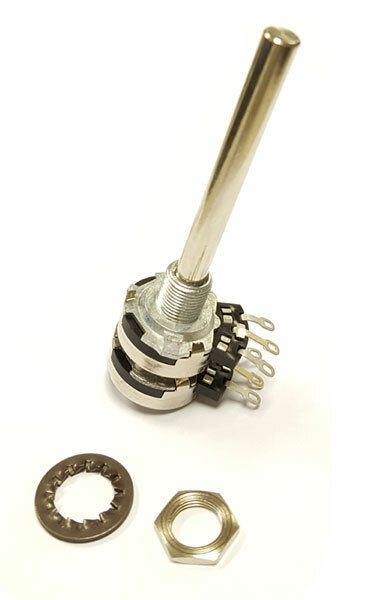 Linear or audio taper center detent potentiometer. Dual concentric audio taper potentiometer. Guitar volume, balane, tone knob potentiometers. Concentric guitar dual concentric potentiometers. Synthesizer moog potentiometer. Synthesizer Synth Modules. Drum machine instrument attack, decay, sustain, release, vol, effect, tune, select potentiometer. Speaker systems volume – fader control potentiometers. Bass guitar volume, tone knob potentiometers. Keyboard expresion pedal and wheel. Midi controller pot. / Analog MIDI USB Monophonic Synthesizer Synth. Delay, flangers, chorus, fuzzers, compressors, etc. potentiometer. Commercial dimmer center I/O card. CD Player Recorders and Duplicators. Networked Digital Audio Systems & Snakes.